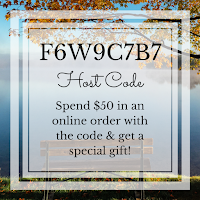 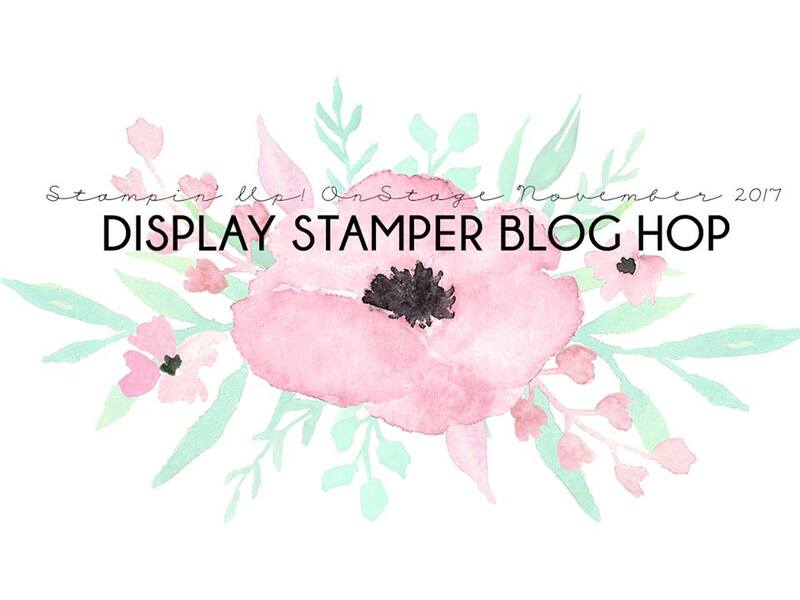 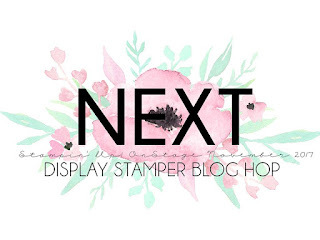 Welcome to Day 5 of the Display Stamper Blog Hop! 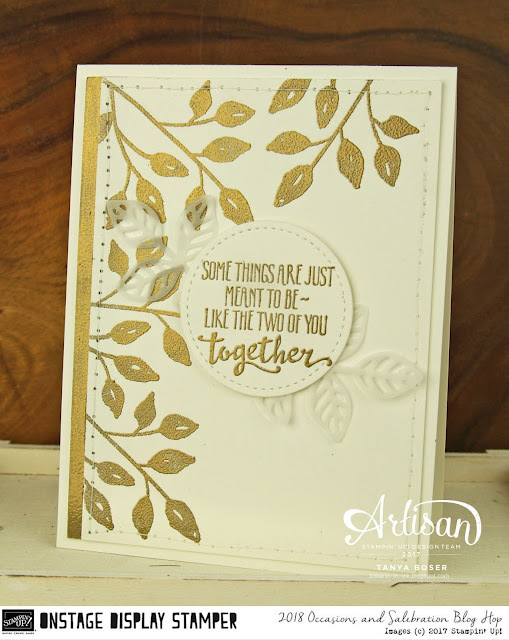 We got together as many Display Stampers from across the world as we could so we could share all of these great samples with all of you. 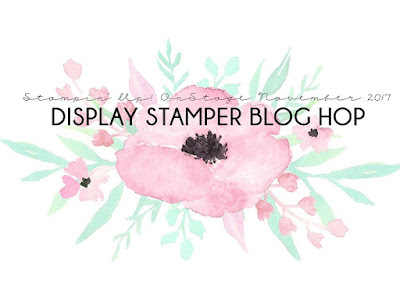 Who wouldn't want to see these great sneak peeks into the 2018 Occasions Mini and SAB?! 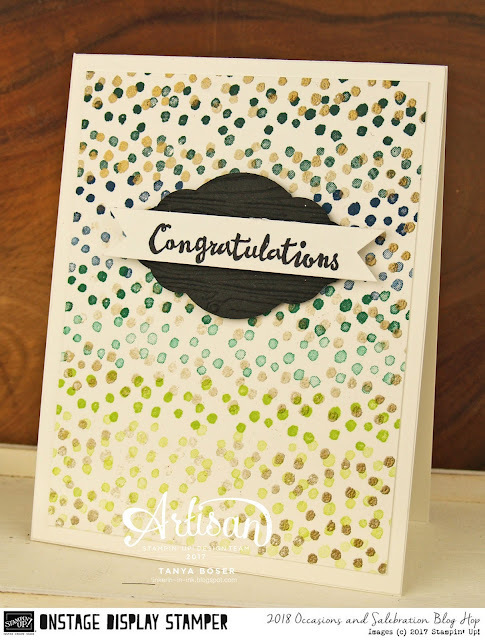 For this card, I used the dotted strip stamp from Petal Palette to create this confetti look with ink and heat embossing. More gold heat embossing to create an elegant wedding card with Petal Palette stamp set.